Services (Care Pack) Receive 3 years of next business day onsite HW support from an HP-qualified technician for your computing device, if the issue cannot be solved remotely. Tech spec footnote  For hard drives and solid state drives, GB = 1 billion bytes. Actual formatted capacity is less. Up to 30 GB (for Windows 10) of system disk is reserved for the system recovery software. 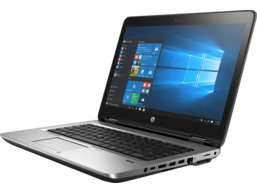 Tech spec footnote  Due to the non-industry standard nature of some third-party memory modules, we recommend HP branded memory to ensure compatibility. If you mix memory speeds, the system will perform at the lower memory speed. Tech spec footnote  DVD-Writer does not support DVD RAM. Donâ€™t copy copyright protected materials. Tech spec footnote  Skype is not offered in China. Tech spec footnote  Battery is internal and not replaceable by customer. Serviceable by warranty. Tech spec footnote  LANDESK Management subscription required. 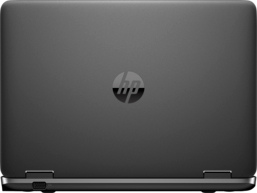 Tech spec footnote  HP BIOSphere available only on business PCs with HP BIOS. 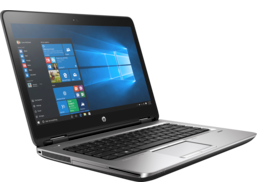 Tech spec footnote  Processor speed denotes maximum performance mode; processors will run at lower speeds in battery optimization mode. Tech spec footnote  HP ePrint Driver requires an Internet connection to HP web-enabled printer and HP ePrint account registration (for a list of eligible printers, supported documents and image types and other HP ePrint details, see www.hp.com/go/eprintcenter). Tech spec footnote  Availability may vary by country. Tech spec footnote  HD content required to view HD images. Tech spec footnote  Secure Erase for the methods outlined in the National Institute of Standards and Technology Special Publication 800-88. 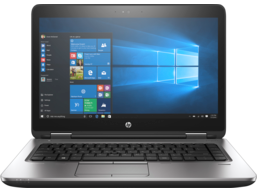 Legal tagline HP recommends Windows 10 Pro.